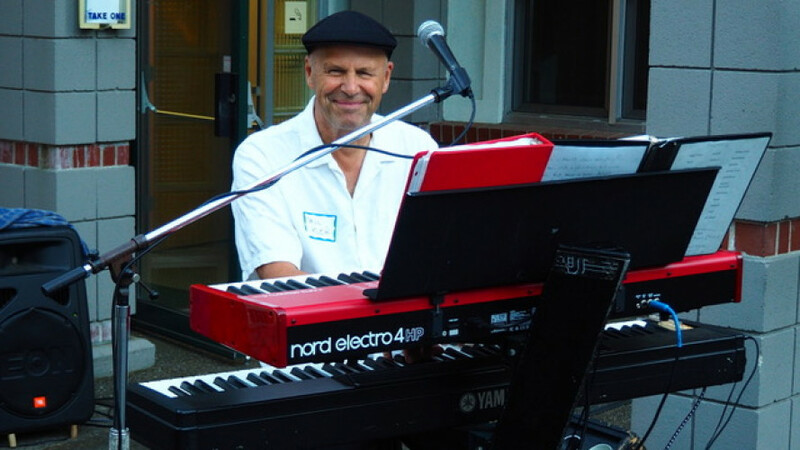 Paul Klein (piano/vocals) – has been playing solo piano and in dance bands in the Northwest since 1976. He is currently leader and co-founder of The Atlantics, now in their 37th year. The Atlantics play clubs, private parties, benefits and accompany the Kulshan Chorus. Paul has traveled with the Chorus as the piano accompanist on tours to Romania, Costa Rica and Croatia. He has held down the piano chair every Tuesday at Boundary Bay Brewery for the past 16 years, where he sings and plays solo in the tap room. Paul plays and sings Blues, Rhythm and Blues, Jazz and also plays classical, rags, and Boogie-Woogie. He is also a choir director for Mens Chorus at 1st Congregational Church in Bellingham and has a teaching studio in Bellingham.